JOIN US!! 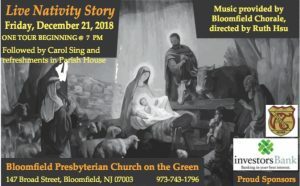 Friday, December 21, 2018 – One Tour beginning at 7:00 PM. Refreshments will be provided in our Parish House. For More Information, call 973-743-1796.